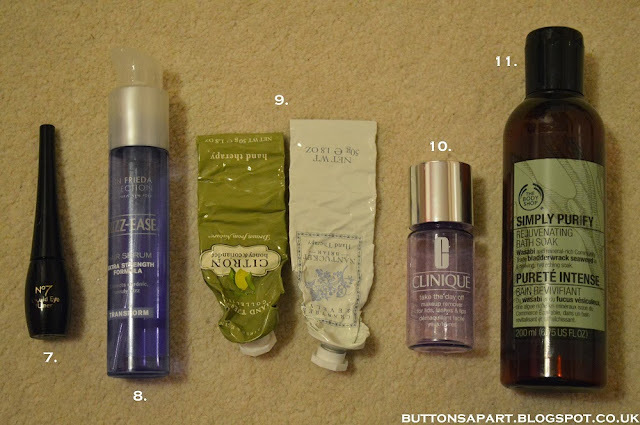 In today's post I am sharing the products I have used up during the month of November. I do like these posts as I can finally throw away my trash! Both these products came in a gift set along with a body scrub, so I shall not be counting them until I finish the scrub seeing as I counted the whole gift set as one! I thought the products were okay...nothing life changing. Although initially I was unsure about this face cream, I did come to like it. It is very reasonably priced and the works well. You can read my full review here. I didn't think much of the shampoo and thought it was okay. However I did like using the pre-shampoo treatment, it was a bit like a conditioner. I do like this cleanser and this is the second bottle I have used up, however it will be the last as I want to switch to a natural alternative. It has to be said that I am a little tired of the soap and glory scent, after a whole bottle of shower gel and now the bubble bath I am glad to have finished up this bubble bath. Finally I am rid of these makeup wipes. 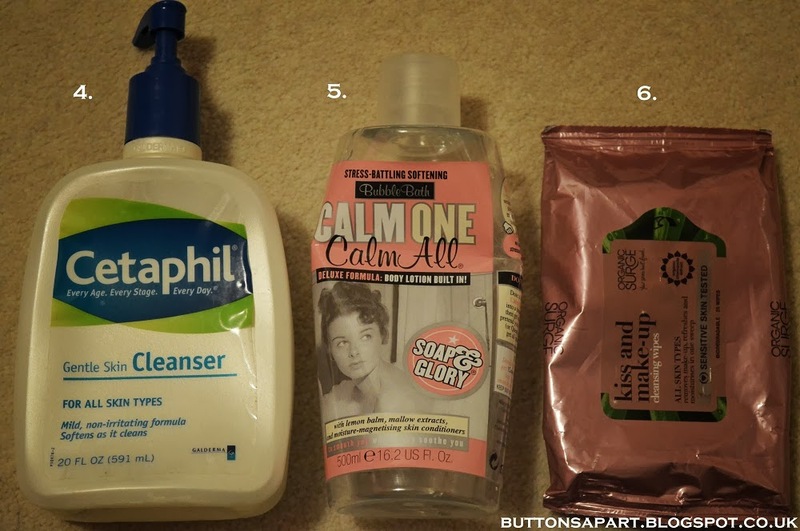 I want to try and avoid using makeup wipes, even thought they can be convenient, especially on lazy days. This eyeliner worked adequately. It did take me a long time to finish and seemed a bit neverending and then it suddenly seem to dry up. I thought the brush could have been finer. This hair serum worked pretty well. It takes me an age to get through hair products as you only need a pee sized amount so I have this bottle for a few years and I think it must have passed it's use by date as towards the end it wasn't working so well. I did like these handcreams, they are a lovely consistency, not to thick and not to runny. They absorb into the skin well without leaving your hands greasy. They feel rich and luxurious to use. The hand cream keep my hands moisturised and feeling soft. 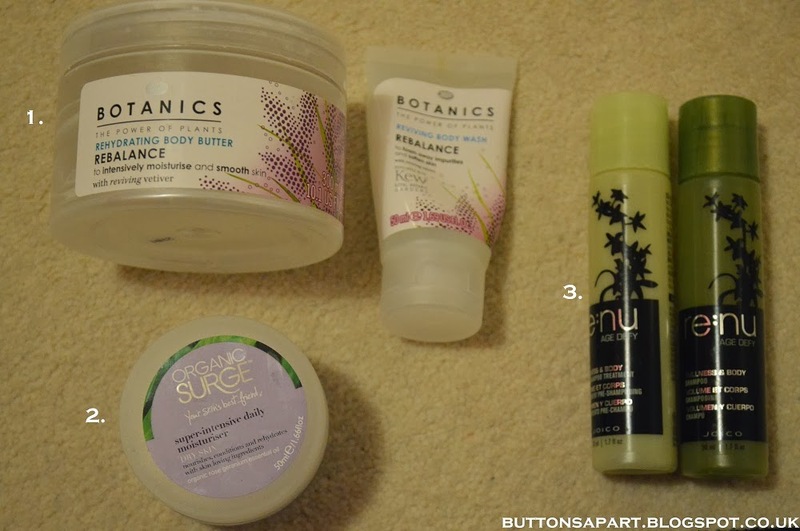 However the creams contain some ingredients that I would prefer to avoid so I won't be repurchasing. I did like this makeup remover, it is very gentle. It is not oil based, so if you odn't like the makeup removers that leave a oily residue than you may want to look into this one. This bath soak is very herbal smelling and I found the fragrance very overpowering but if this is a scent that you like then you might enjoy this bath soak. 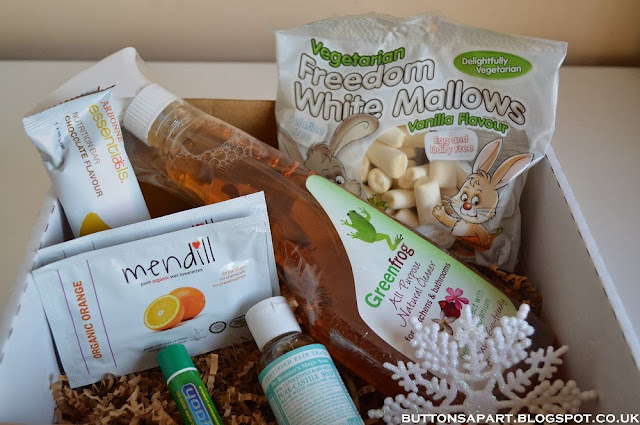 The Vegan Kind is a vegan lifestyle monthly subscription box. 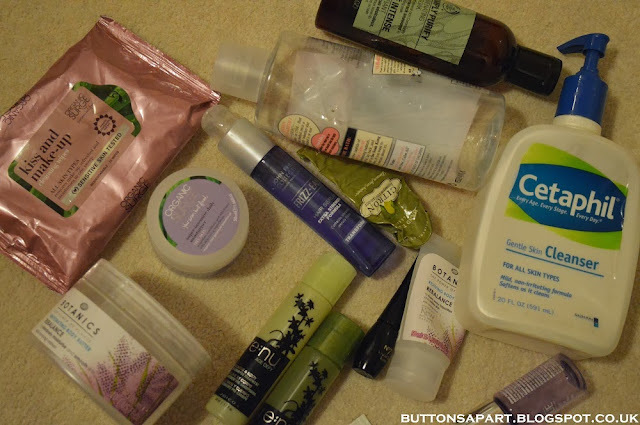 There are many of these subscription beauty boxes available but what intrigued me about this box was the fact that all the products were vegan and there was a mixture of products, not only beauty products. The cost of the subscription box is £10 a month plus £2.95 post and packaging. The company kindly sent me the box for the cost of the post and packaging only. Overall I liked that the box contained a good mix and variety of products. I think boxes like these are a nice way to try out and discover new brands. However if you add up the cost of the products in the box you'll see the total is £12.75. Many of the other boxes provide products worth a higher value than the box, but in this case it would have cost the same to go out and buy the products individually so I don't think it is particularly worth it. Also I didn't like the fact that you can't trial the box or buy a one off box but have to sign up for the rest of your life (or until you cancel the service). If you would like more information or to sign up for next month's box click here. Have you subscribed to The Vegan Kind Box? If so what's were your thoughts on this month's box? In this video I'm sharing some new products I added to my collection If your interested in watching.